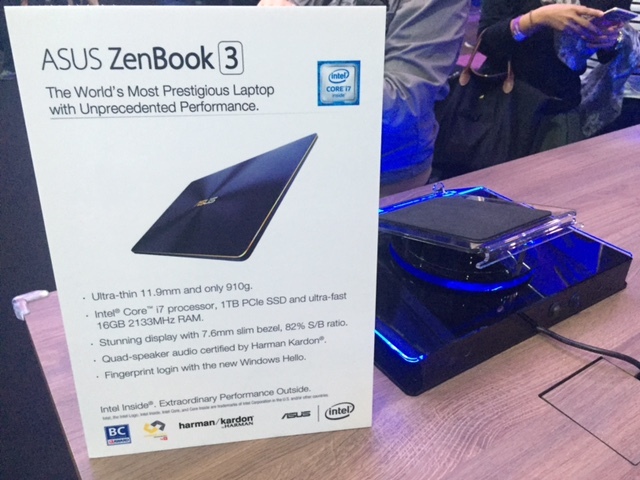 Asus announces Zenbook 3, an insanely thin Ultraportable device, in the Philippines. 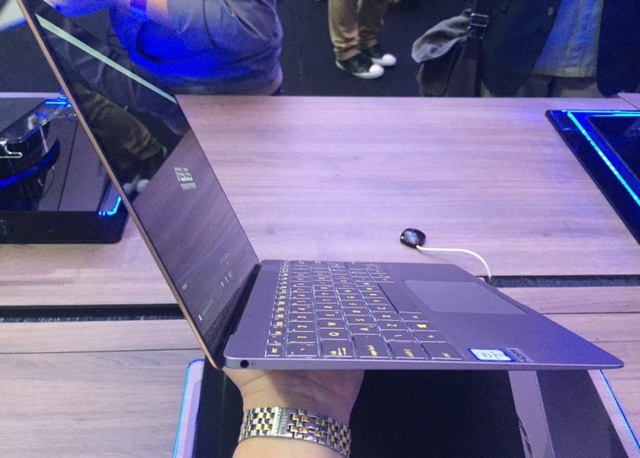 Asus Zenbook 3 becomes official in the Philippines via the #ZenvolutionPH event. 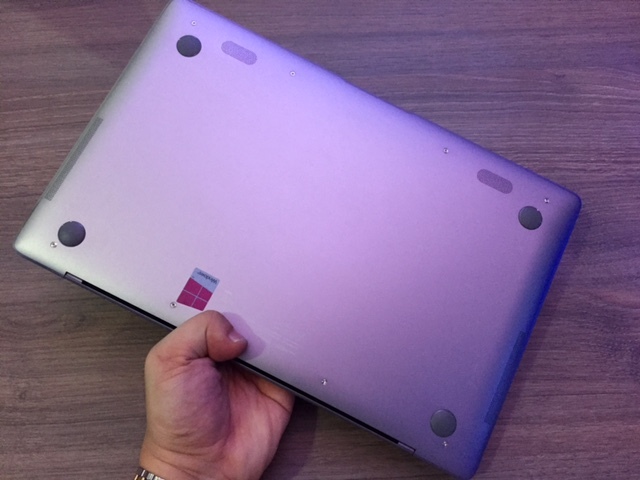 The device comes with a familiar Macbook Air-ish design but the Taiwanese giant manage to make it thinner at 11.9 millimeters and lighter at 910 grams. 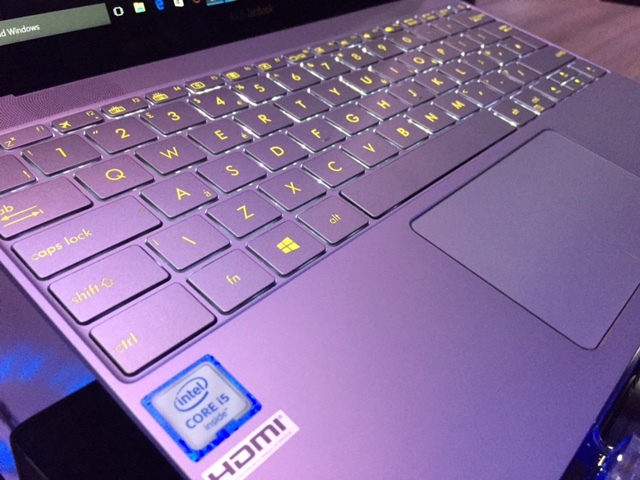 There’s a feeling of being at awe in my close encounter with the Zenbook 3, join me as I do a hands-on review and first impressions to the popular device. For the purpose of comparison, Apple’s Macbook hits around 920 grams in weight and 13.2 millimeters in thickness. This means that Asus has outdone Apple in terms of dimensions in the ultraportable market. 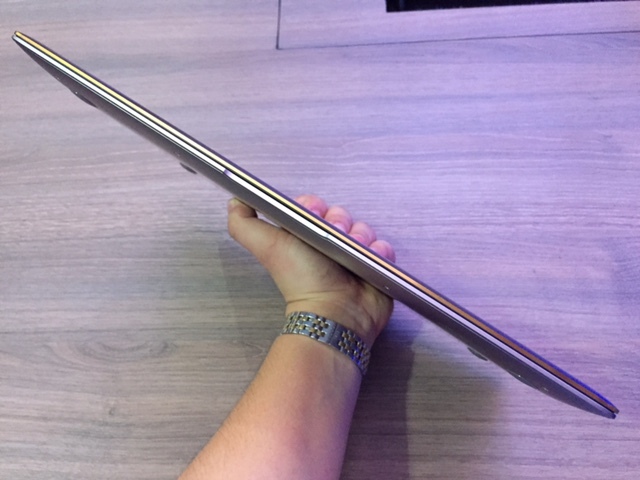 One of the factors which makes the Zenbook 3 lighter is the usage of an aerospace-grade aluminum alloy. This makes carrying the ultra-portable device with one hand effortless. 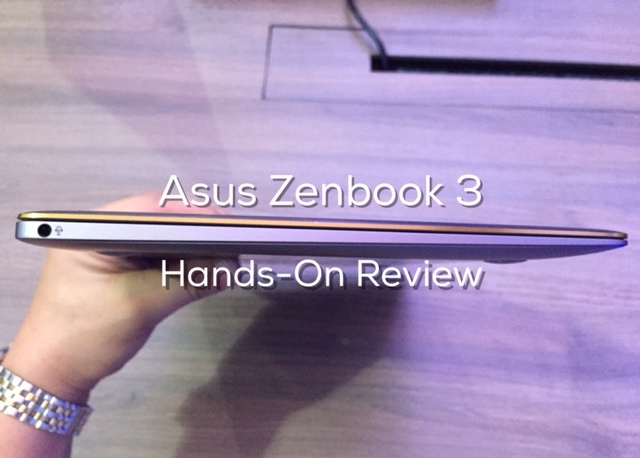 There’s no forgetting the fact that Zenbook 3 could look like it came from the same melting pot as the Macbook Air. Since its under the “Zen” umbrella, it also sports a spun-metal design on its chassis. But there’s so much more inside the Zenbook 3 than just a svelte construction. I might say it takes a lot of engineering for Asus to cram an Intel Core i7 in such a limited body depth. The processor could be boosted up to 3.1GHz speed; and pairing it with up to 16GB of RAM feels like its here to break some ultraportable benchmarks. The 512MB SDD will also keep everyone bloated. The Zenbook 3 is also rich in ports. In fact, the Thunderbolt 3/USB Type C will be intended for charging. 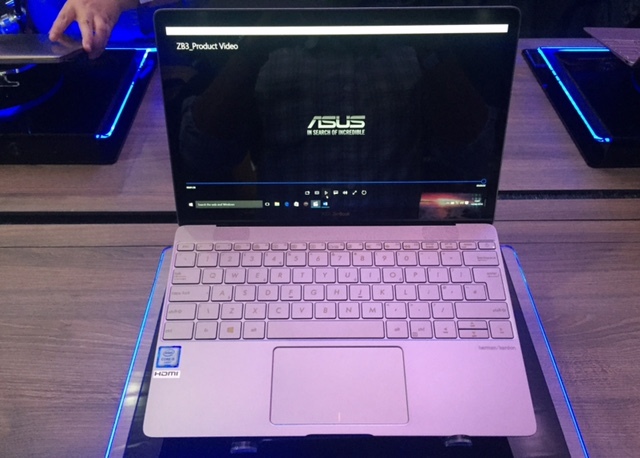 Asus claims that the laptop could stack up to 60 percent battery life in just 49 minutes. The built-in fingerprint sensor on the upper right corner of the trackpad is also a welcome feature to support Windows Hello. The Zenbook 3’s 12.5-inch Full HD display boasts the a slimmer 7.6-mm bezel compared to its rivals in the market. The screen makes up roughly 80 percent of the device’s front. On top of that, it also offers a 178-degree viewing angles as stated on paper. There’s a coating of Corning Gorilla Glass 4 on the display making it tough against foreign impacts. Bending the display feels ridiculously smooth, I even thought it could snap freely to cover the keyboard. Talking about the keyboard, Asus pointed out the 0.8-mm “travel distance” which is basically the depth from the key surface to its base. I tried to test some taps, I had a comfortable typing but there’s no denying the fact that the keys feel hollow. 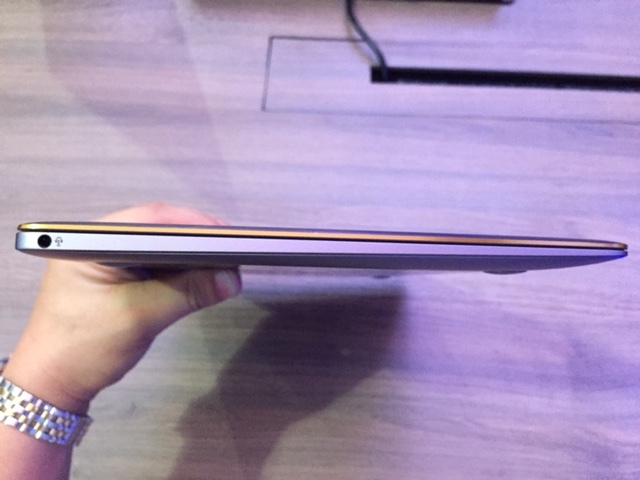 The Zenbook 3 could easily get away with the unapologetic rip-off of the Macbook Air's design considering that it packs more powerful internals than the latter. On paper, it is very promising. It could even push the hefty Php 79,995 price tag to the “practical” category. But if you're in the market for the most portable of all ultraportables and do not keep a glaring eye on the price, then you’ll have to wait until the fourth quarter to get the Asus Zenbook 3 in the Philippines.